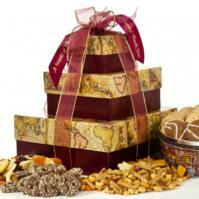 "I received my gift baskets, and I am very happy with them. I also wanted to say thank you for the little extra gift; it is so much appreciated. I will surely be using you again in the future, and I will recommend you to all my friends. Thanks again." 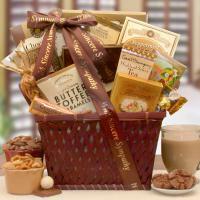 "I received my gift basket yesterday and was so surprised to get it that quick!! Thanks, I love it. Thanks also for the mug and coffee. I will be ordering again." "Hi, I love the changes you've made to the website. It's so much fun just to look through your gift baskets. Both my Mother and Mother-In-Law loved the valentine baskets we sent last year from your company. Chris and I want to do the same this year. We'll be placing our order soon." 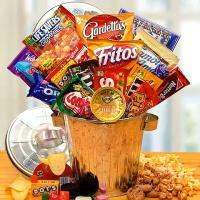 "The basket has been received, and the recipient loved it!!! I just wanted to make you aware of that. Thanks again. Nice job!" 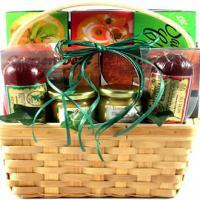 "We received our baskets in all locations, and I must say they have exceeded our expectations. Thanks for the extra time you spent making Administrative Professionals day so special this year. 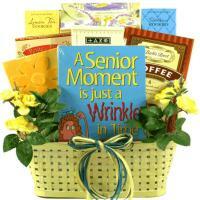 You have certainly made my choice of gift basket companies look great!"